Instagram and Twitter posts could help New York learn more about visitorship across thousands of its city parks. Image courtesy of Flickr user Bruce.Emmerling | CC BY 2. Can computers forecast avalanches better than humans digging holes? More than six times as many people flocked to New York City’s Central Park last year than visited the Grand Canyon. 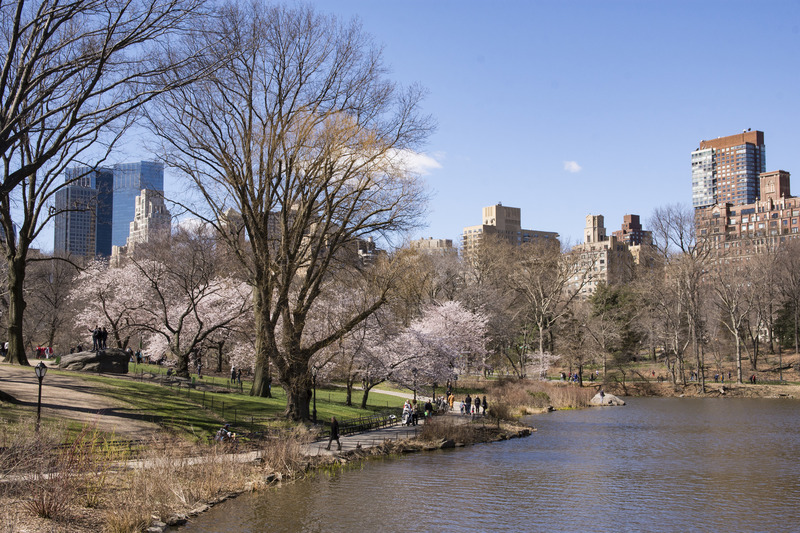 Thousands of other parks green the Big Apple’s cityscape, covering a fifth of its area. But compared to the Grand Canyon, much less is known about who visits them and why. Currently, the city says it conducts usership surveys in each park once a decade. In 2018, the parks department received $2 million to study Prospect Park in Brooklyn, Pelham Bay Park and Van Cortlandt Park in the Bronx. Researchers think they’ve found a simpler way: Data gleaned from social media posts could guide cities as they try to manage their patchworks of parks for shifting populations and demographics, a new study suggests. And as urban populations swell — an estimated 9 million people will populate New York by 2040 — visitor information will become more critical for deciding where to invest limited parks resources. That could mean expanding Wi-fi access, creating dog-friendly spaces, and ensuring clean drinking water across more parks, for example. “We think of the city as a complex ecological system. This is a way of taking its temperature,” said Lindsay Campbell, a social scientist with the U.S. Forest Service’s NYC field station, which provided support for Hamstead’s research. Municipalities can’t solely deploy clipboard-and-smile tactics, said Zoé Hamstead, urban and regional planning assistant professor at the University at Buffalo. It’s expensive, parks departments are understaffed, and few people react warmly to a clipboard-wielding stranger asking for a moment of their time. Scraping Instagram and Twitter for location-specific data offers a cheaper, low-effort surveying alternative. The study, published February in Computers, Environment and Urban Systems, features an analysis of about 250 million Flickr photos posted between 2005 to 2014 and 51.3 million tweets shared between 2012 and 2014 — all geotagged to New York City parks. Researchers merged the social media data with information about neighborhood demographics, transit access and amenities such as beaches, bike trails and internet access. Unsurprisingly, more visitors frequent parks near subway stations and those boasting athletic courts and Wi-fi. Parks swathed in more green space and those classified as playgrounds get less foot traffic, researchers found. And fewer people visit parks in mostly black or Hispanic neighborhoods. Those parks might have low-quality facilities or fewer amenities, Hamstead said, or could be too small to accommodate huge crowds. Or, racial prejudice could play a part. “There’s some driver that we’re not able to measure but need to understand,” she said. The strategy is size-biased too, so an analysis of Prospect Park geotags would be far more robust than, say, one of the half-acre Epiphany Playground, both of which are in Brooklyn, one of New York’s five boroughs. That’s one limitation of social media as a data trap. A trove of posts can map hotspots and ghost towns, but efficiently directing resources toward sites that need maintenance or capital investment calls for a broader context it fails to capture. It doesn’t, for example, take into account for the fact that under-used green sanctuaries do offer something of value to people living in crowded cities: a rare opportunity to have a moment of solitude in nature. And, of course, it excludes everyone who doesn’t post about their walk in the park. Marion is a Brooklyn-based science writer who enjoys covering the outdoors, history of science, creepy crawly insects and trash and waste. Prior to coming to New York, she reported for newspapers across the Midwest including the Columbus Dispatch, Chicago Tribune, Milwaukee Journal Sentinel and Minneapolis Star Tribune.